Dimensions: 8" x 5.25" x 1"
I did not receive zootility. The key rings and U.S. 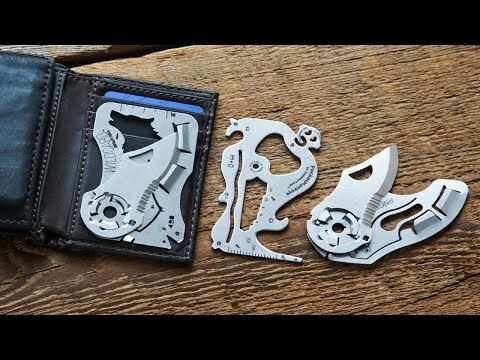 Founder and self-proclaimed tinkerer, Nate Barr, set out to find a pocket tool that wouldn’t weigh him down. When he couldn’t find one, he used his mechanical engineering background to create and make the PocketMonkey right here in the USA. Nate’s hobby has blossomed into a full-time business that employs seven people, and growing. They’ve expanded to other multi-tools, all light and strong. The secret to packing so much strength and utility into an ultra-thin piece of stainless steel? Heat treating for maximum durability. 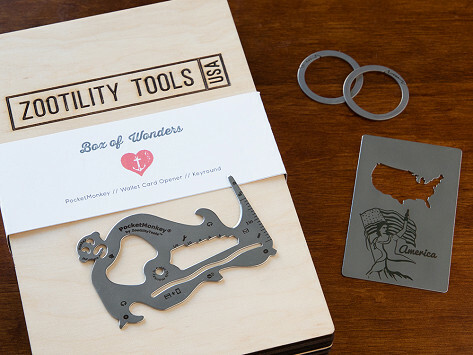 So whether you’re opening a bottle, peeling an orange, opening a letter, tightening a screw, or doing other everyday tasks, Zootility has got a Made in the USA multi-tool for you.